The awards will be paid through UCLA and applied to quarterly tuition. Cody Kosycarz of Warner Breesee will handle payment transactions through UCLA and will certify that the recipient is current in his house bill. Econ Major, Class 2020. From Steele Canyon HS in East San Diego. Econ Major, Class 2019. From Connecticut. Electrical Engineering Major, Class 2021. From Chile. Electrical and Computer Engineering Major, Class 2019. Transfer from Moorpark College via Newbury Park HS. Stats Major, Class 2020. From Mira Loma HS in Carmichael. Psychobiology Major, Class 2021. From Los Alamitos HS. 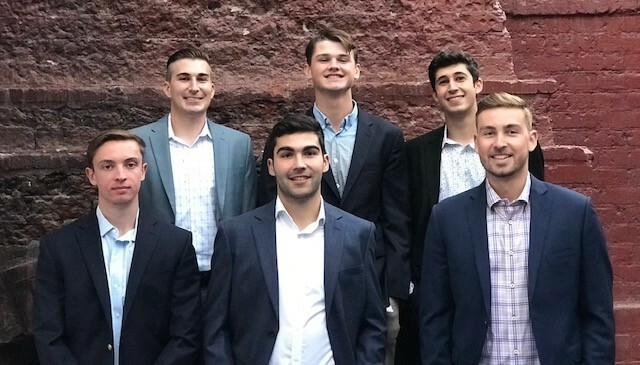 13 more winners, including the inaugural $10,0000 Gerald L. Coffee Scholarship recipient were announced this past weekend at Sigma Nu Honors. Their names and extraordinary profiles will be revealed in upcoming newsletters. Details about Captain Coffee’s historic trip to UCLA and the incredible Sigma Nu Honors ceremony that won’t ever be forgotten will be featured in our next newsletter so stay tuned.